Baahubali: The Beginning is an Action, Adventure, Drama Indian film. It was released in 2015. 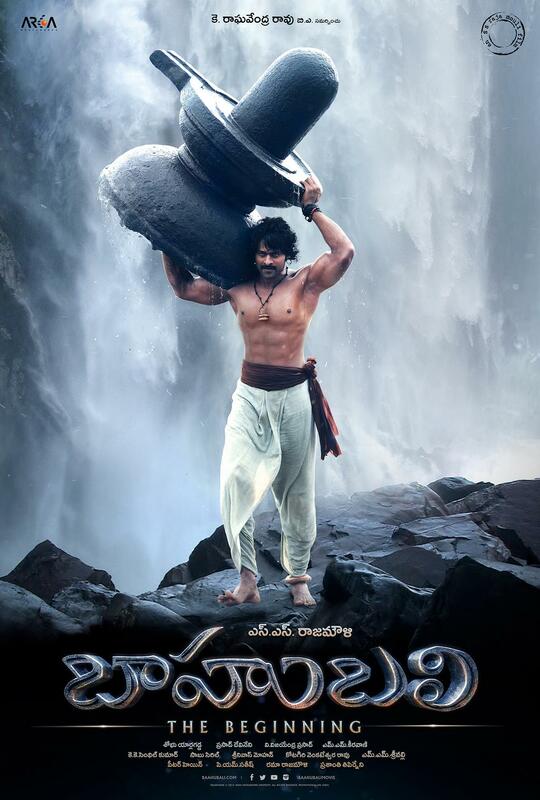 Prabhas, Anushka Shetty, Rana Daggubati, Tamannaah played lead roles. Ramya Krishnan, Sathyaraj and Nassar played supporting roles. It was directed by SS Rajamouli and produced by Shobu Yarlagadda, Prasad Devineni. Dikkulu Choodaku Ramayya is Indian romantic comedy film. It was released in 2014, Ajay, Naga Shourya, Indraja, Sana Khan played lead roles. Brahmaji, Posani Krishna Murali played supporting roles. It was directed by Trikoti and produced by Korrapati Ranganatha Sai. Music composed by MM Keeravani. Oohalu Gusagusalade is romantic comedy Indian Telugu film. It was released in 2014. Naga Shourya, Rashi Khanna played lead roles. Srinivas Avasarala, Surya, Rao Ramesh, Hema, Harish Koyalagundla, Posani Krishna Murali, Prudhviraj, Kalyan Koduri played supporting roles. It was directed by Srinivas Avasarala and produced by Sai Korrapati, Rajani Korrapati. Music composed by Kalyani Koduri. Geethanjali is comedy horror Indian Telugu film. It was released in 2014. Harshvardhan Rane, Srinivasa Reddy, Anjali played lead roles. Madhunandan, Brahmanandam, Ali, Rao Ramesh, Satyam Rajesh, Shankar, Raghu Babu, Jhansi , Rajeev Kanakala, Prudhviraj played supporting roles. It was directed by Raj Kiran and produced by Kona Venkat. Music composed by Praveen Lakkaraju. Muthina Kathirikai is political satire Indian Tamil film. It was released in 2014. Sundar C., Poonam Bajwa played lead roles. Sathish, Kiran Rathod, VTV Ganesh, Singampuli, Ravi Mariya, Yogi Babu, Sumithra, Jayaprakash, Singapore Deepan played supporting roles. It was directed by Venkat Raghavan and produced by Sundar C.. Music composed by Siddharth Vipin. Lingaa is action drama Indian telugu film. It was released in 2014. Rajinikanth, Anushka Shetty played lead roles. Sonakshi Sinha, Santhanam, Jagapati Babu, K. Viswanath, Karunakaran, Dev Gill, Brahmanandam, Radha Ravi, Vijayakumar played supporting roles. It was directed by K.S. Ravikumar and produced by Rockline Venkatesh. Music composed by A. R. Rahman.